While I’m not sure what sort of game Anteworld will eventually be, I can say I’m already enjoying it. Developers Outerra have released an alpha demo, mostly showing off their engine tech, but with the tiniest particle of game in there. But why is that impressive? Because the demo’s proof of concept recreates Earth. 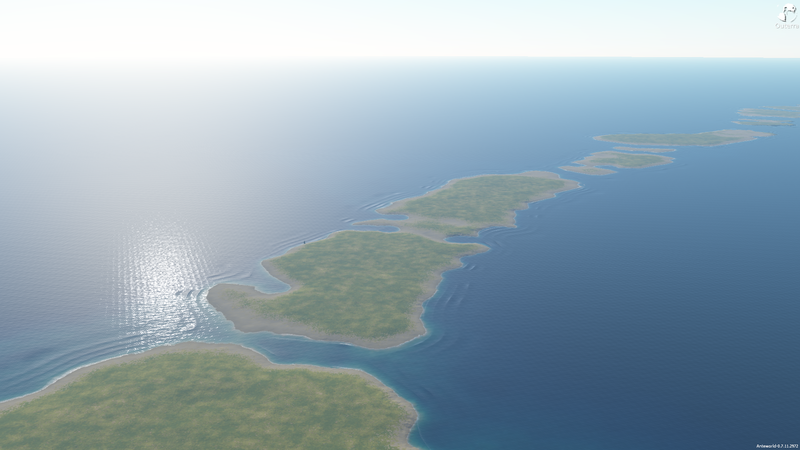 Now there are plenty of caveats to that: the world is not even close to fully mapped, instead there is one area with a small collection of buildings, although given that the finished game is about settling the planet it might not get busier. I expect it will, though. And there’s not a lot of variety in the vegetation, with just the same forest repeated over the land. What they’ve released is one download with two-parts: a demo of that shows the world and lets you fly around it as if you were in a UFO, one location they’ve fiddled with, and the engine’s lighting capabilities and not much else; and the beginnings of a game in the paid-for alpha, where you can place buildings, fly and drive around, but with no real goal. Not that placing buildings does anything more than show off the global illumination, but even that’s somewhat impressive. Like I said, I’m not sure what the game is they’re making here: in the alpha, the engine has elements of strategic building tools, letting you build roads that will follow the bumps that the engine generates, but it also integrates pilot-able air, sea, and land vehicles and you can fly around the barren but oh-so-vast planet. It seems an odd add-on if it’s not going to be functional, but then there’s a lot to be said for just showing off how well you’ve recreated the earth by letting people drive and fly all over it. The untethered access, ufo mode, lets you zoom up from a single tree all the way to the stratosphere. From there you can make out macroscopic details: the size and shape of the Earth’s regions are clear to see. I could make out Britain, but not Bath. I could follow the curve of the Earth, but closer to the ground things get a little murkier. The data streams in from the game’s servers, so zooming around too quickly can cause the world to flatten until the information drops in. But it’s accurate to a point, and shows that off with an integrated Google Map: hitting ‘g’ shows where you are in the world: mountain ranges, oceans, and countries are all bang on, with the rest of the data currently being procedurally generated. 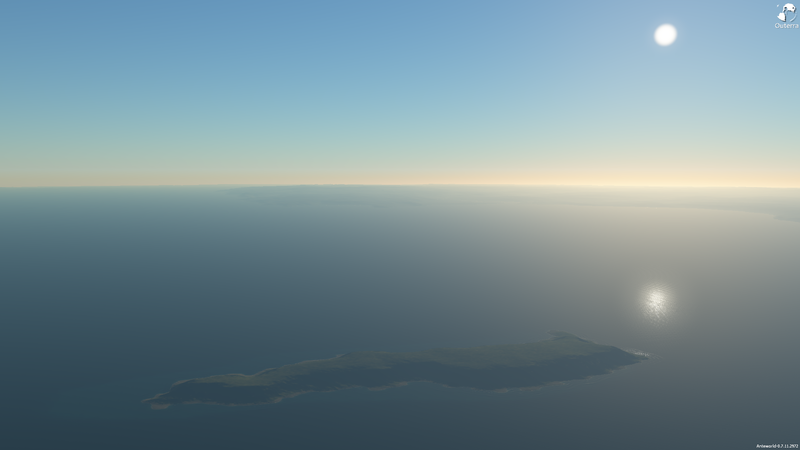 I floated at Land’s End and could make out the shape of the British Isles, before flying to Lundy Island; I visited the tiniest islands I could find in the Pacific. They’re all there. Ultimately the aim is to make a world-building game, but one with a single-player mode that populates your own Earth with other user’s creations, while there’s a mooted multiplayer as well. I’m claiming Lundy as mine. Anteworld’s available as a pre-alpha for $15, now. Tagged with anteworld, earth, Engine, indie, outerra.